Need Some New Gender Reveal Party Ideas? Try Confetti Cannons! There is truly something very magical about being pregnant and bringing a new life into the world. It is one of those few things in life you simply can't wait to share with your friends and family, if not the whole world! Along with announcing the fact you are pregnant, there is one more very magical moment that goes along with it. Telling everyone the gender of your baby. You could go with the basics and maybe use wedding sparklers as part of the party, but this has already been done so many times. Why not make the announcement a true surprise by giving everyone a confetti cannon instead? Can you imagine the look on your guests' faces when you tell them that you are not going to announce the gender of the baby growing inside you? While 36-inch wedding sparklers might add a touch of flash and magic to your reveal party, nothing can beat the surprised looks on everyone's faces when they pull the trigger on the confetti cannon and out comes a shower of either pink or blue confetti. Wedding Sparklers Outlet offers so many products for weddings, receptions and celebrations. 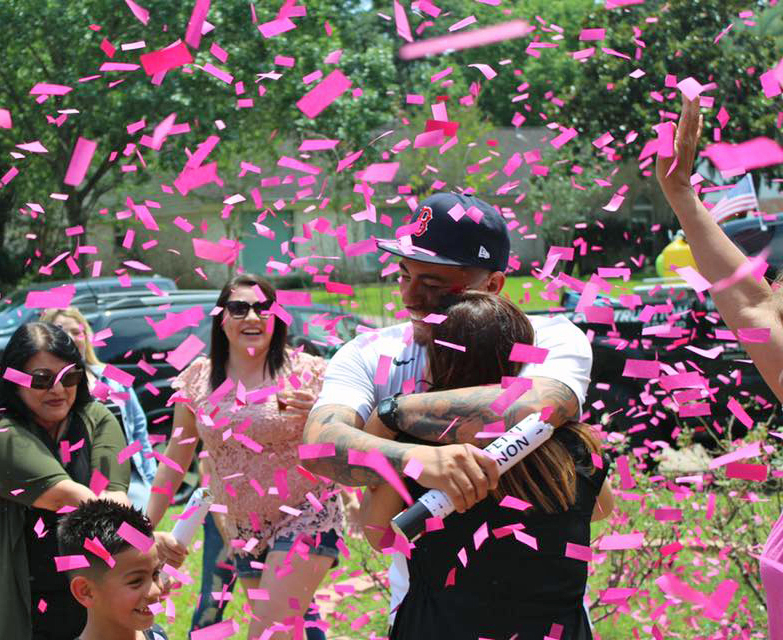 You can choose some of our confetti cannon products for your gender reveal party and be ready to involve all your guests in the big announcement! The only thing that comes out of a confetti cannon is a shower of paper in the appropriate color blue or pink. It’s totally safe and great fun! Confetti cannons consist of a tube filled with shredded paper and or Mylar. Unlike wedding sparklers that must be lit to be effective, confetti cannons use compressed air to blast the confetti out of the tube and up to 15 feet in the air. Don't worry, if you plan to use them indoors, the confetti will simply bounce off your ceiling and spread out over the room without leaving a mark. If you are worried about safety, there is nothing in the confetti cannons available from Wedding Sparklers Outlet you need to worry about. From the tube to the compressed air to the confetti itself, all contents are perfectly safe as long as you don't try to shoot each other with them. On top of this, they are incredibly easy to use. To fire the cannon, all you have to do is hold the top half of the tube and twist the bottom. Our confetti cannons are 12-inches long and 2-inches in diameter, making them small enough for everyone, even those with small hands, to use. What better way to let everyone who comes to your gender reveal party know what the gender of your baby is going to be. At Wedding Sparklers Outlet we carry both pink and blue confetti cannons along with a full selection of wedding sparklers for you to choose from to make your reveal party one of the most memorable your family and friends have ever been to!